Sequins, Crystals & Silk! Nigerian Design label Chidinma Obairi presents its Spring/Summer ’13 Collection Lookbook. 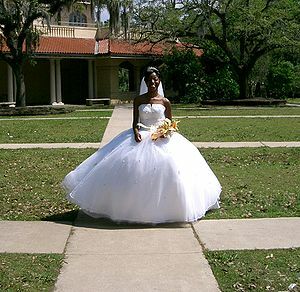 A bride’s makeup should be natural looking, but also emphasize her features so they look beautiful in photographs. How to apply bridal makeup depends on both the theme and time of your wedding. Evening wedding looks can be slightly more dramatic with sultry eyes and bold shadows. Daytime bridal makeup should be minimal with neutral eye shadows and rosy lips. Every bride should emphasize blush and lips for the most foolproof and timeless bridal beauty. No matter what a bride’s wedding makeup style is, she should always apply makeup before putting on the wedding gown unless it must go over the head. In this case, use a bed sheet to cover the bride from the décolletage to the floor to protect her gown. Now we know you all want to achieve that perfect makeup finish every time you do your makeup. So here are a few basic tips to help get you started. 1. Always moisturize your skin morning and night. Skin that is not hydrated will not hold makeup well and will look cakey. 3. Blend.. The most important tip on makeup is learning to be patient and blend blend blend.. Blending is the difference between good makeup and amazing makeup. Spend time blending your eyeshadow, your blush, and especially your foundation. You want your makeup to look like second skin and so it should not be obvious or have any streak marks. Try these three basic tips and see how you go.. Applying lipliner is not only a great way to define and accentuate the shape of your lips, but also to keep your lipstick from feathering. 1. Begin applyling lipliner at the center of your natural upper lip line to define the bow then work toward the outer corners to complete the line. 2. 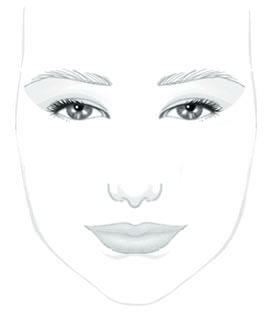 Start at one corner of your bottom lip then follow your natural lip line all the way to the other corner. Tip: Choose a lipliner that matches your lipstick or a flesh tone shade for a soft, natural look. 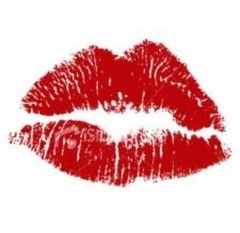 Tip: To get plumper, pinker looking lips, do not touch up by drawing a hard lip line; smudge it so lips look fuller! For a more dramatic fullness, choose a lipstick shade with a hint of frost. Tip: To avoid lipstick on your teeth, put your index finger in your mouth and then draw it out slowly with your mouth closed. What you see on your finger is what would have ended up on your teeth!